How To Create Wholeness and a Balanced FIT life! Being FIT is so much more than just the food we eat and the exercise we chose. To create wholeness there are actually 3 areas that need to be FIT; your mind, your body and your spirit. If one of these areas is off you will be out of balance and not living totally FIT. My mission as your Fitcoach is to educate you on how to create wholeness and a balanced FIT life! The body is actually the easiest! You are programmed from birth to eat, sleep and breathe, this is natural to you. The imbalance occurs when you over indulge, develop limiting beliefs or false truths and create harmful patterns around what is supposed to be a harmonious cycle. Think about how your Father created you! Our bodies are amazing. From your circulatory system to every last hair on your head, God had a perfect design that He intended you to care for. When you understand the processes that give your body life, you can learn to take care of the body you have been blessed with on this earth. Your mind! “As a man thinks, so is he” spoken by one of the most powerful men in history, King Solomon. Think about that. How powerful your mind and thoughts are! You actually become who you say you are, as a self-fulfilling prophesy YOU create balance or imbalance simply by how you chose to think and respond. In this life there will be circumstances you will face yet it is your attitude or how you perceive in your mind the situation that will affect the outcome. Your spirit is your true identity. It’s who you were created to be in Gods design! It’s not the person you pretend to be in front of others, it’s who you are when you are all alone staring at yourself in the mirror. It’s who you are when you dream and allow your passion and purpose to become your way of life! The time you have on this planet is a journey. You have been given this life to fulfill a specific destiny and contribute to mankind with love, honesty and respect. Imbalance occurs when comparison begins; you cannot love, respect and be true to yourself if you are comparing yourself to someone else. I am excited to share with you my passion for creating wholeness mind, body, and spirit in your life! 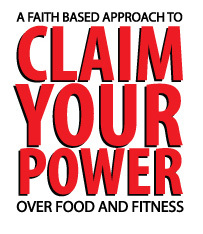 Each of these areas are covered in my new book “Claim Your Power” with biblical truth and application to breakthrough and live a complete FIT life.